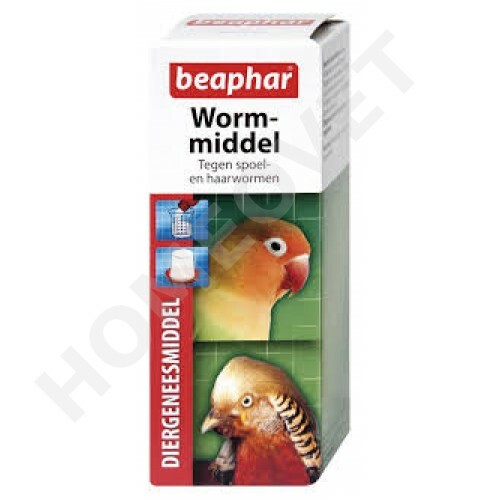 Beaphar Wormer for cage and aviary birds, (also for rabbits and rodents) against roundworms, this approved wormer contains levamisole - a well established treatment for roundworm. A veterinary preparation for the treatment of roundworm. This approved veterinary preparation contains levamisole - a well established treatment for roundworm. Simply dilute with the drinking water to treat individual birds and whole aviaries. Ideal for use in all birds but especially cockatiels that can be particularly prone to worm infestations. Repeat treatment after 2 weeks.